There is no tasting review yet. Vinoherck continue to state about this cognac: In the nose, one will find floral aromas like jasmin and iris, combined with fruit aromas like peach and prunes. On the palate, BRUGEROLLE AIGLE ROUGE is very powerful, with hints of chocolate, vanilla and candied fruits. There is a little evolution towards herbs and a cigar box aroma. This tender cognac comes in a beautiful wooden box. It has 85% Ugni Blanc grapes, 10% Colombard grapes, and 5% Folle Blanche grapes in its blend. 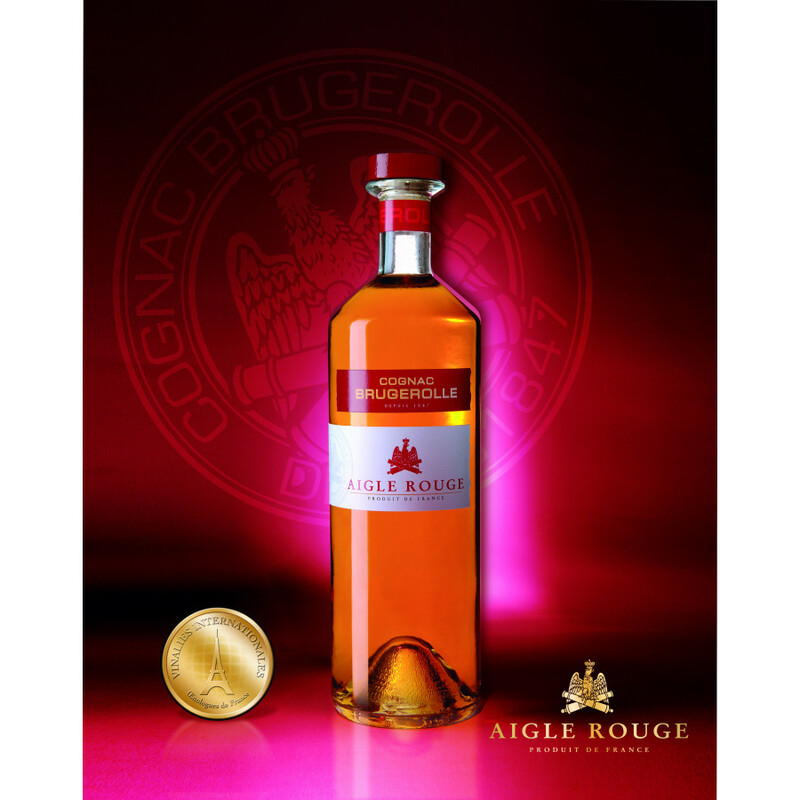 Wine specialists Vinoherck write: BRUGEROLLE AIGLE ROUGE is a high quality Cognac, with an oily appearance and a bright, amber colour. I have one bottle just like that, full, and i would like to sell it, can you give an idea of what's worth? I recently purchased a very old wax &amp; cork sealed white porcelain bottle of 'Brugerolle' Aigle Rouge cognac 750 ml. @ 40% vol., the bottle is in the shape of a cube with playing cards displayed on the sides and could also be used as a ashtray when used. I have seen these for sale although most are now empty, I had to open mine and sample the contents, pure nectar with the colour of liquid gold, extremely smooth with intense notes of raisin, dried fruits and walnut, it must be at least 50 years old. I transferred the remainder into a crystal decanter and store it in the refrigerator, I enjoy the occasional glass.Cheers All.